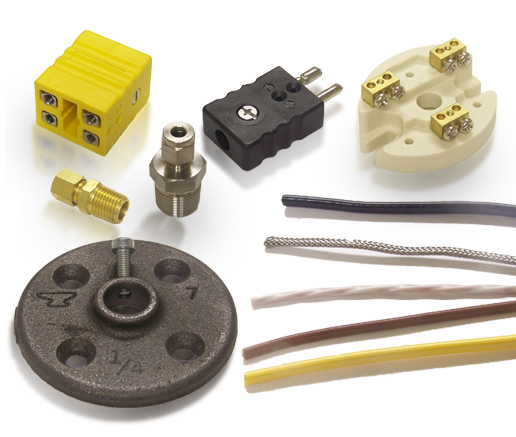 SensorTec Inc offers a full line of wire, cable, and accessories for the temperature sensing industry. From plugs, jacks, and panel connectors to thermocouple and RTD wire, we can help you complete your project. We also offer additional accessories for the plastics/packaging industry, which are located on pages P-21 through P-23 in the Plastics/Packaging section of our catalog. The majority of the accessories in this section are stock items. Our stock items will ship within 3 days after receipt of order. Please contact us to confirm availability of accessories, wire, and cable.